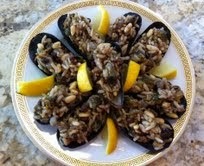 TheArmenianKitchen.com : Thanksgiving menu have you stumped? Try some of our favorites! Thanksgiving menu have you stumped? Try some of our favorites! Thanksgiving may have a different meaning from family to family. For ours, it means love, being thankful for all with which we’ve been blessed, and sharing our favorite recipes. When it comes to the ‘feast’, ours takes a slight detour from the All-American menu. We sprinkle-in some of our family’s Armenian treasured recipes, passed down from our loved ones. For instance, our appetizers often include Midia Dolma, cheese boregs, homemade hummus, assorted olives, Armenian string cheese, and lavash or pita bread. Sometimes a Roasted Leg of Lamb (recipe below) is the star of the show, but, when we do roast a turkey, it’s filled with Armenian Stuffing (recipe below), rather than the usual bread or cornbread-based varieties. 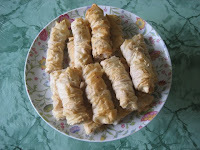 Dessert is more likely to be Apricot Pie, rather than apple or pumpkin, and for good measure an occasional plate of Boorma (or paklava) would adorn the table. Technically, this is my apple pie, but imagine it with an apricot filling! No matter what you serve, the main thing is to share and give thanks. Do Not discard the juices at the bottom of the pan! When cooled, strain the juices into a food storage container, discard the onion & garlic. 1. Brown the meat in a large pot with a little salt, pepper and one tablespoon of water. Drain off any grease. Remove meat from pot and place in a bowl. Melt 2 Tbsp. butter and sauté onion until soft. Return meat to pot and stir. 2. Bring the water or broth to a boil. Add the rice and butter; stir. Reduce heat to low, cook, covered, until liquid is absorbed, and rice is tender, about 20 minutes. Remove pot from heat and allow to rest for 10 minutes. 3. 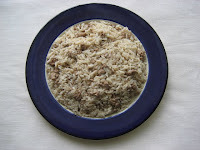 Using a fork, fluff the rice and add the allspice, and more salt and pepper, if needed, and toasted pine nuts, if using. 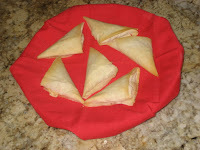 NOTE: This recipe is used as a stuffing, but makes a delicious side dish, as well.